Crowds at Wheeler Field await arrival of Army Air Corps Lts. Lester J. Maitland (pilot) and Albert F. Hegenberger (navigator) who took off from Oakland, California at 7:09 a.m. on June 28, 1927 on a history making flight over the Pacific Ocean. 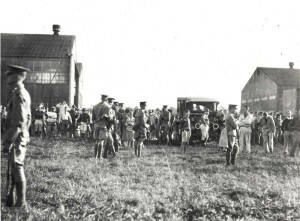 Thousands of people waited at Wheeler Field for the arrival of Lts. Lester Maitland and Alfred Hegenberger. They arrived at 6:29 a.m. on June 29, 1927. 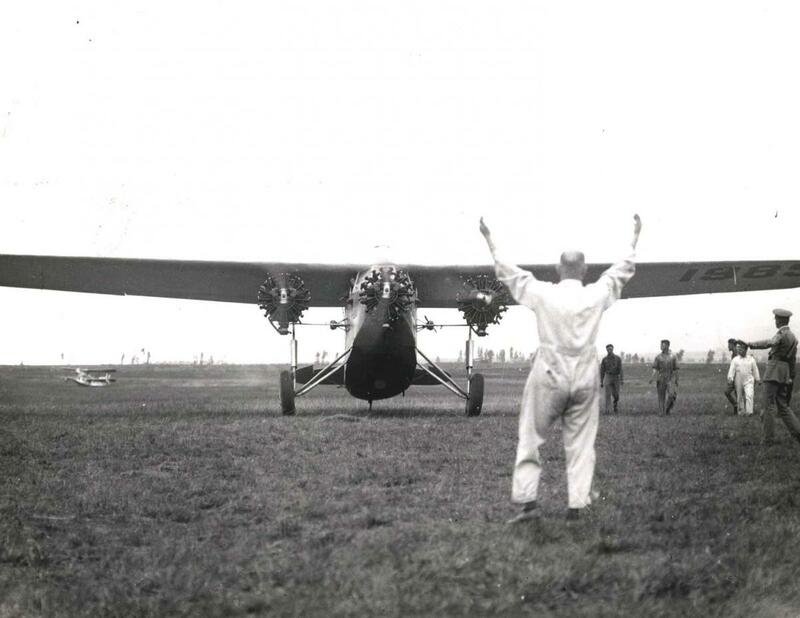 They had flown 2,425 miles in 25 hours and 49 minutes. Lts. 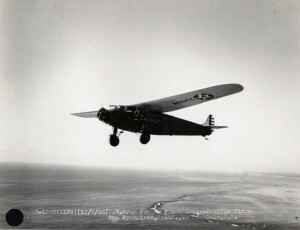 Lester Maitland and Albert Hegenberger flew at an altitude of 300 feet during the day on their Oakland-Honolulu route. Their compass failed in the first hour. Navigation was by dead reckoning and solar observations. 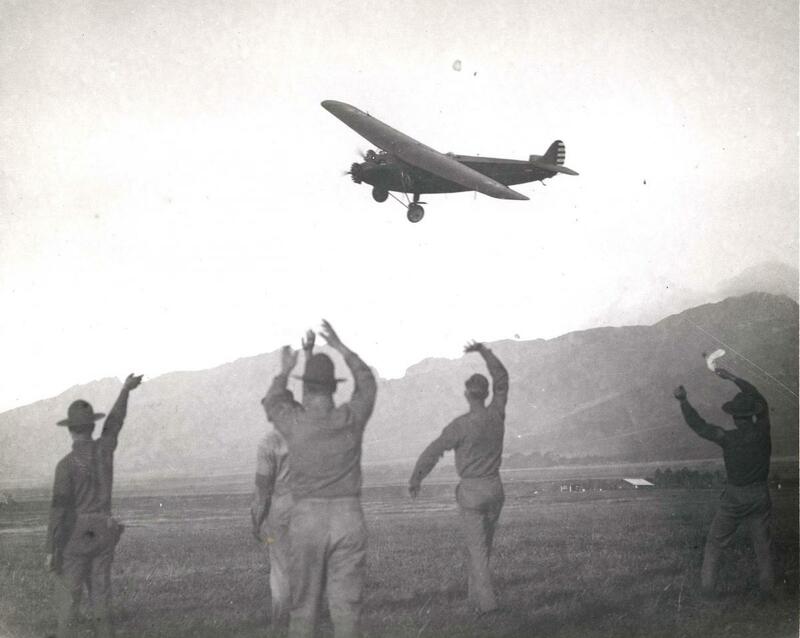 By evening they climbed to 10,200 feet to get over the clouds for navigation. 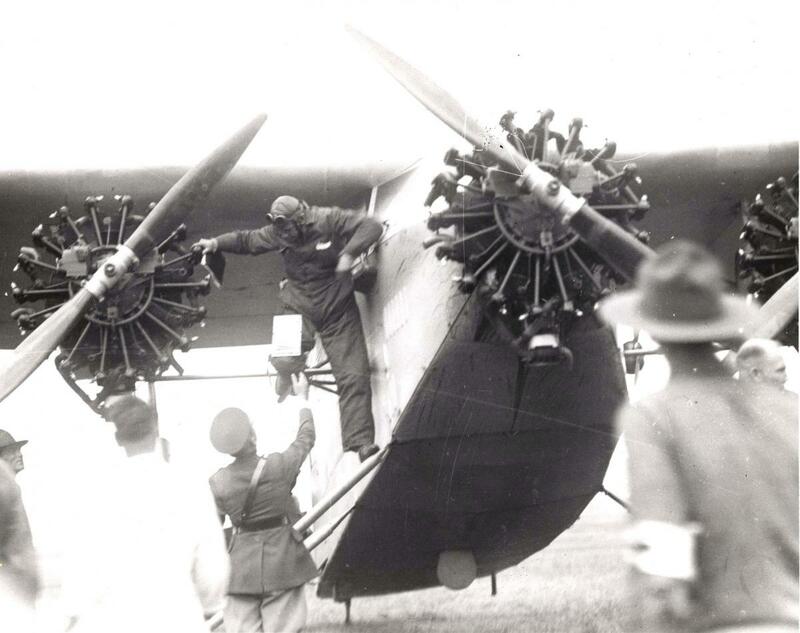 Army Pilot Lt. Lester F. Maitland & Lt Albert F. Hegenberger completed the first flight to Hawaii on June 29, 1927. 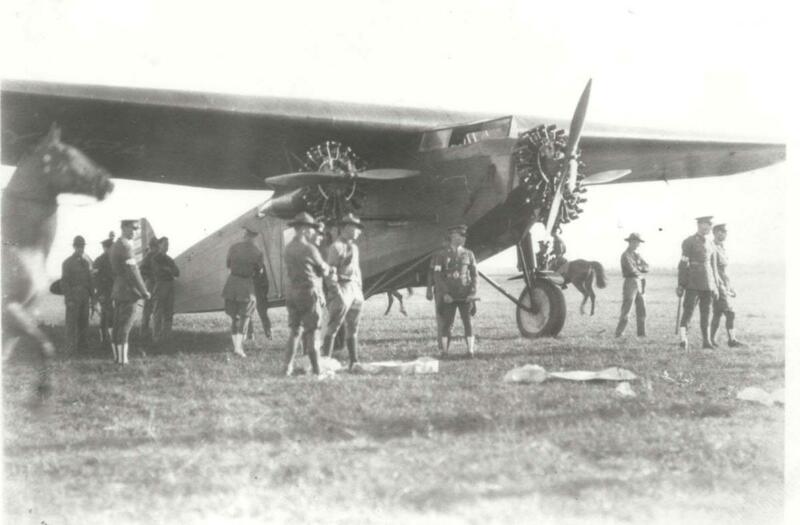 The 26 hr flight from Oakland to Wheeler Field, Oahu was in an Army tri-motor Fokker monoplane. Lts. 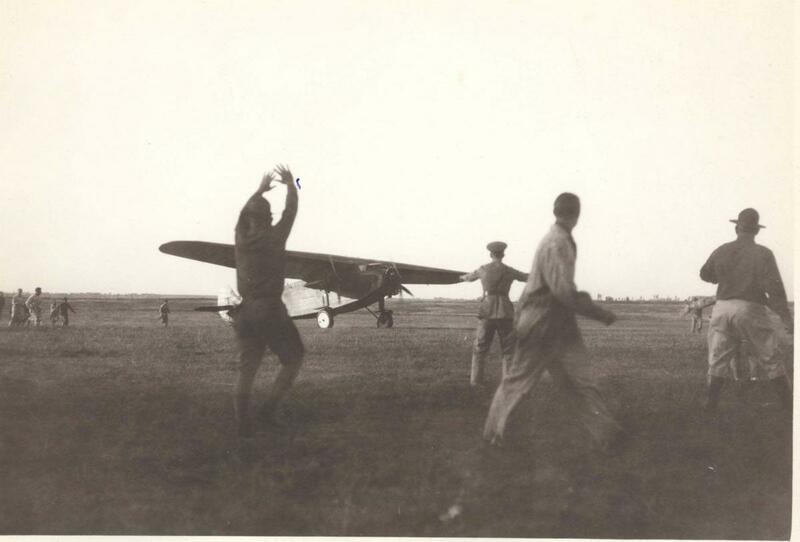 Lester J. Maitland and Albert F. Hegenberger dropped to 7,000 feet when the carburetor on their Fokker iced up. 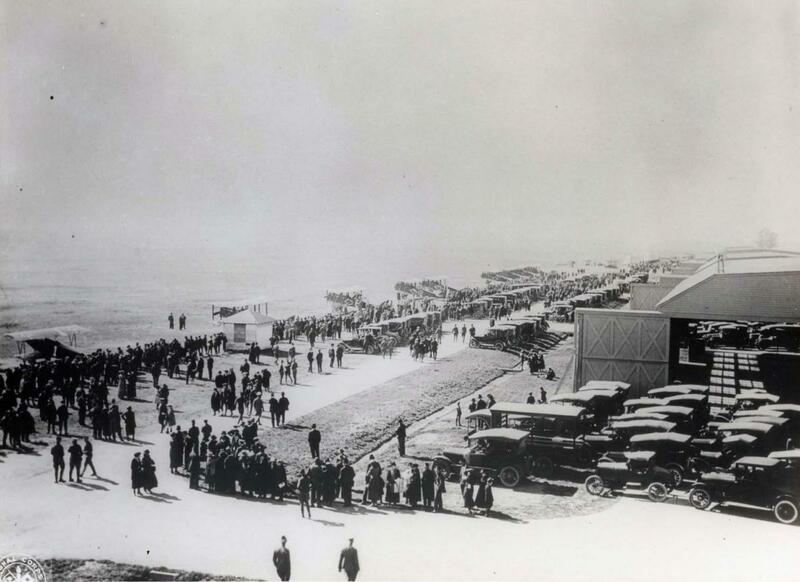 At 3:20 a.m. on June 29, 1927 they spotted Kauai. They decided to circle Kauai until daybreak. When the sun rose, they spotted Wheeler Field and the smoke of a welcoming field gun salute. The U.S. Army Fokker C2-3 Bird of Paradise rests at Wheeler Field after completing first mainland to Hawaii flight June 29, 1927. Army Pilot Lt. Lester Maitland, and navigator Lt. Albert F. Hegenberger disembark after completing the first successful flight from San Francisco to Honolulu, June 29, 1927. Pilot Lt. Lester F. Maitland & Lt Albert F. Hegenberger completed the first flight to Hawaii on June 29, 1927. The 26 hour flight from Oakland to Wheeler Field, Oahu was in an Army tri-motor Fokker monoplane. 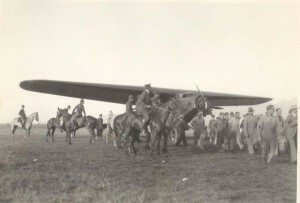 Mounted police guard the plane after the flight. Decked with lei, Lts. 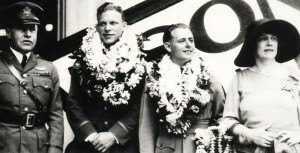 Lester Maitland and Albert Hegenberger were hailed for their feat which linked Hawaii to the U.S. Mainland by air. Lts. 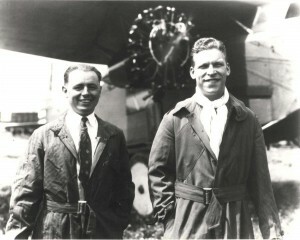 Albert Hegenberger and Lester Maitland pose in flying togs before the Fokker in which they made the first flight from the Mainland to Hawaii on June 29, 1927. Hegenberger was Chief of the Instrument & Navigation Unit, Materiel Division, Wright Field before the flight. 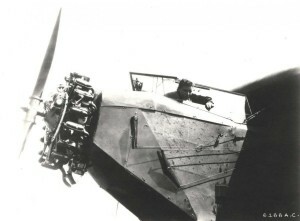 Lt. Lester J. Maitland in cockpit of Fokker tri-motor airplane. He had been stationed in Hawaii from 1918-1921. Hegenberger had served in Hawaii from 1923-1926. Both were familiar with the Hawaii terrain after flying between islands. Lt. Lester Maitland and Albert Hegenberger's Fokker C2-3 was equipped with a Wright 220 engine. 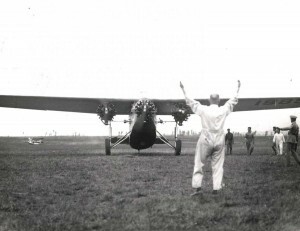 The flight was an unprecedented success and proved that travel between the Mainland and Hawaii was possible. 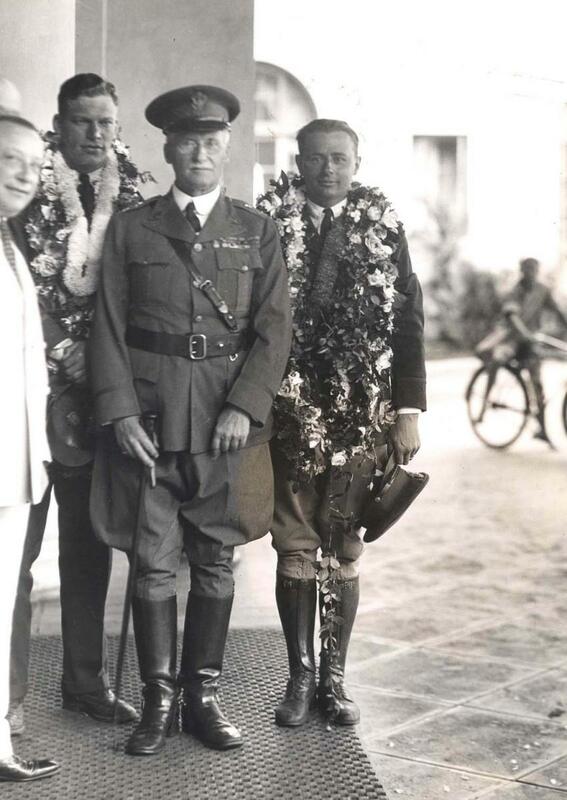 The aviators received the Mackay Trophy for 1927 for their feat and the Army's Distinguished Flying Cross. Lts. 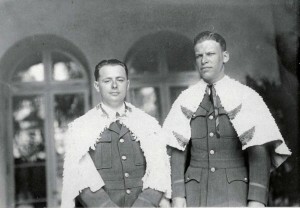 Hegenberger and Maitland wear the feathered capes of the Hawaii Alii during a ceremony honoring them after their record-setting flight from California to Hawaii on June 29, 1927. 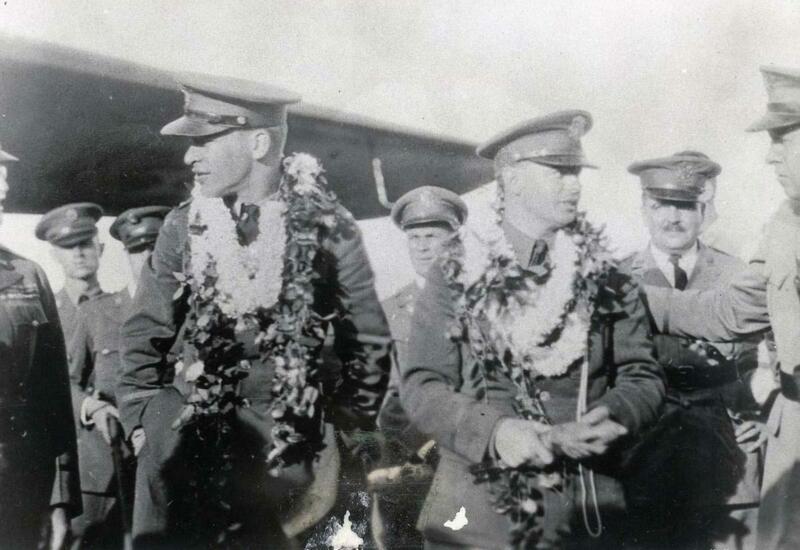 Army Pilot Lt. Lester F. Maitland & Lt Albert F. Hegenberger completed the first flight to Hawaii on June 29, 1927. 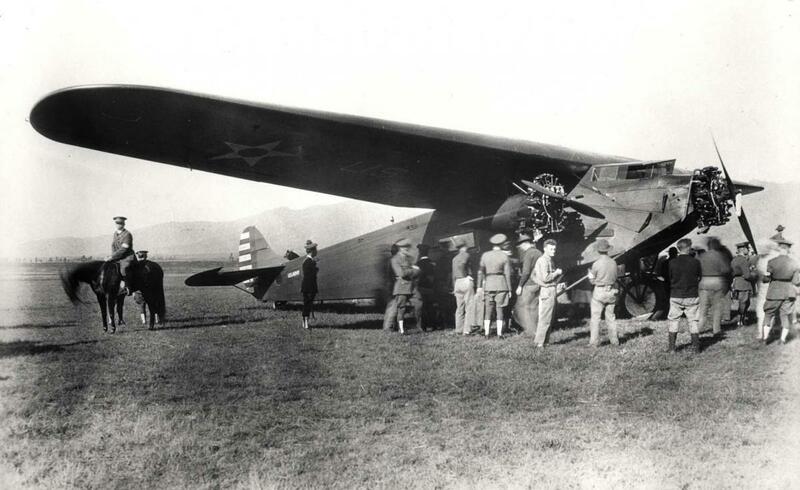 The 26 hour flight from Oakland to Wheeler Field, Oahu was in an Army tri-motor Fokker monoplane. They wear the feather capes of royalty on the steps of the Royal Hawaiian Hotel. Army Lts. Maitland and Hegenberger, June 29, 1927. 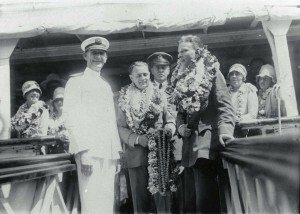 Arthur Benaglia, left, manager of the Royal Hawaiian Hotel, with Maitland and Hegenberger and the commanding general of the Hawaiian Department, after the first successful flight from San Francisco to Honolulu. Heaped with lei from well wishers, Lts. Hegenberger and Maitland received a royal send off on July 7, 1929 before boarding the ship that carried them back to the Mainland. A week after their history making flight, Lts. 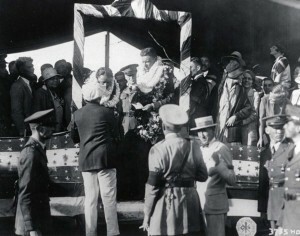 Maitland and Hegenberger were again heaped with lei before they departed Hawaii on the ship Maui for the return to the mainland July 7, 1927. 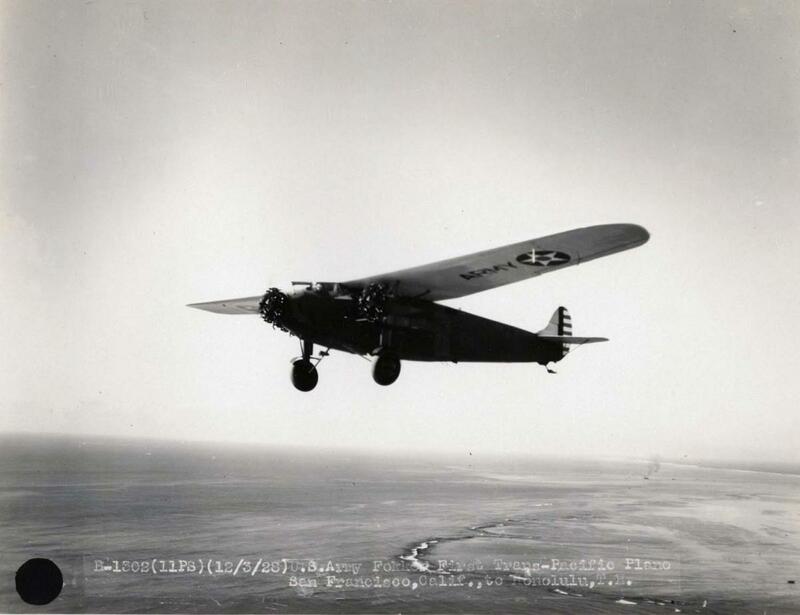 Maitland retired from the Air Force as a Colonel in 1945 and was appointed Director of Aeronautics for the State of Michigan in 1949, later becoming the Michigan Civil Defense Director. Hegenberger commanded the 10th Air Force in Italy during World War II and retired as a Brigadier General. U.S. Army Fokker in first Trans-Pacific flight from Oakland to Honolulu by Lts. 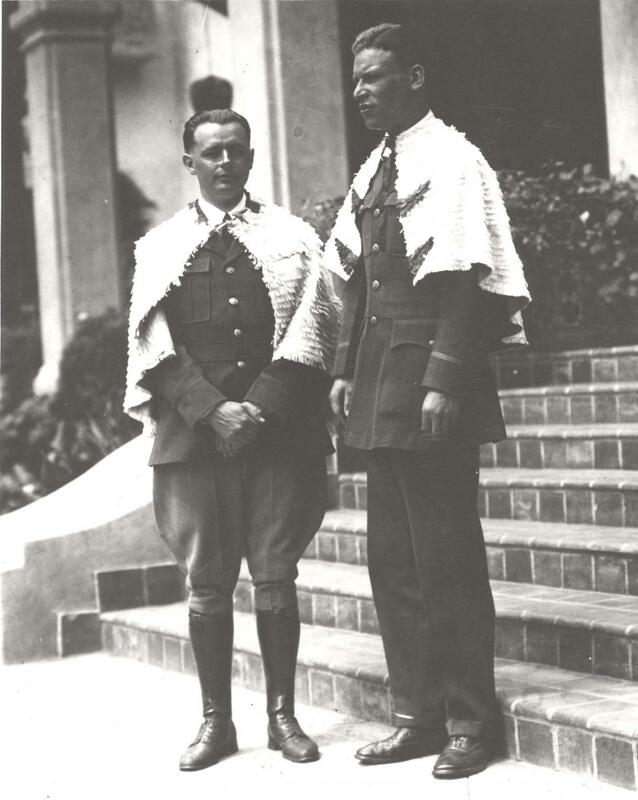 Lester Maitland and Albert Hegenberger. 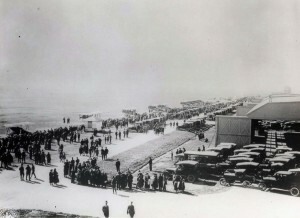 Photo taken December 3, 1928.